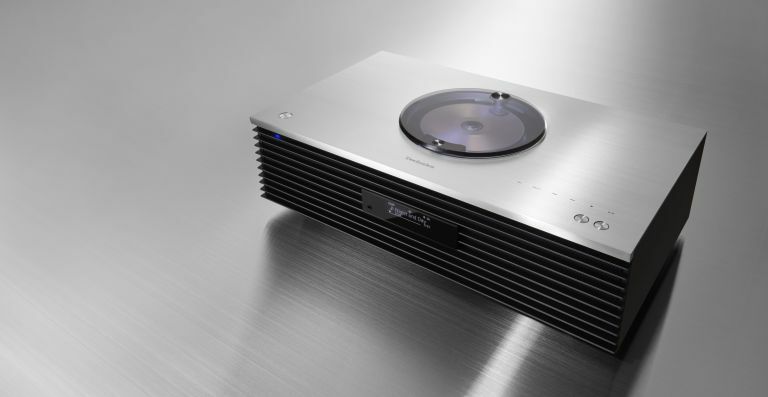 Technics is getting ready to unveil its new SC-C70 compact stereo system at the High End audio show in Munich. Equipped with the firm's own JENO Engines (Jitter Elimination and Noise-shaping Optimisation), LAPC (Load Adaptive Phase Calibration) and Space Tune calibration tech, the compact SC-C70 delivers rich, high-quality sound that's bound to impress even the most discerning audio enthusiasts. The clever little system measures the capabilities of the integrated loudspeakers and optimises the resulting sound output using the data it has obtained. Together with the precisely developed sound concept, which encompasses five loudspeakers, the SC-C70 is able to create a wonderfully spatial sound experience right there in your home. Alongside integrated Apple AirPlay functionality, the operate. No matter whether the music is to be played in high-resolution format via the network, a CD, USB connection or smartphone, music fans are always able to maintain full control thanks to the intuitive and easy-to-use Technics app. The Technics SC-C70 compact stereo system will be arriving in September 2017 - no word on pricing just yet. Mophie has just unveiled a brand new juice pack made for Samsung Galaxy S8 and a juice pack designed for use with the Samsung Galaxy S8+, offering up to 33 hours of talk time for Samsung’s latest flagship devices. The juice pack for Galaxy S8 is equipped with a rechargeable 2,950mAh battery that provides over 33 total hours of talk time, while the juice pack for Galaxy S8+ offers a 3,300mAh battery for more than 39 total hours of talk time. So if you're facing a long journey away from a charge point - or your planning a festival visit - one of these juice packs will serve you right. The Beats By Dre Powerbeats3 Wireless in-ear, wireless earphone is getting a re-release, this time in a trim gold and black look. Designed to fuel multiple workouts and elevate your training with powerful, dynamic sound and up to 12 hours of battery life, these new in-ear buds feature Class 1 Bluetooth for optimum connectivity and the ability to toggle seamlessly between iCloud-registered devices. You’ll also never have to worry about an empty battery before you hit the gym as its Fast Fuel charge gives you one hour of playback after a 5-minute charge using the micro-USB cable, and you can play music, hop on a call or activate Siri easily without your device thanks to Beats’ RemoteTalk capability. Powerbeats3 Wireless Trophy Gold will be available for £169.95 from Apple’s retail stores in the UK from 26 May.